The term table game in casinos is used to distinguish games like baccarat, roulette, craps, blackjack, which are all played at a table designed specifically for the table game in question and operated by either one or more live dealers such as a poker dealer or croupier, from games that are played on mechanical devices such as video gaming machines. To take part in these games, players have to sit around the tables. The tables have places where players can make bets and have different sections marked out indicating different types of bets. These games are usually played for money and the dealer manages payments. Players will bet on specific outcomes, then the dealer will pay successful bets according to the odds that are set at the table.  The term has significance because some jurisdictions authorize casinos to have only slot machines and single table game. In some states, the law has made most facilities that house and accommodate gambling activities to host electronic games like craps, blackjack, and roulette. Poker is a combinations of card games which combines and requires strategy, wit and speculation of odds. All branches of poker include betting as a unique inherent style of play, winner is determined through each hands of the players’ corresponding combinations of cards, where some cards are hidden even after the game. Different variations of the game vary in number of cards dealt, number of shared community cards, cards that remain hidden and betting rules. In most poker games the first round requires one or more plays making a bet called the blind or ante. In standard poker players make a bet depending on their hands worth and their competitors. The action proceeds clockwise as all players must match (“call”) the previous maximum bet, fold, losing the amount betted so far or raise, to increase the current maximum bet. The round ends when all players have used a betting action. If all but one player folds the current pot will automatically go to the remaining player, if more than one player last until the final round for betting all those left must reveal their hand and the winning hand will take the pot. The only time a force bet is applied is at the beginning of a game, money is placed into the pot by choice of the players to receive a positive outcome of that game or to bluff, other players for psychological plays. Even though the hand involves only chance, by using probability, psychology, game statics, and game theory the outcome of the game can be change and determined. It’s a game that’s named after the French term meaning little wheel. It’s offered at virtually all casinos worldwide where table games are available. In roulette, players place their bets either on the colors black or red, various groupings of numbers, a single number, low numbers (1-18) or high numbers (19-36), or whether the number is even or odd. A standard roulette wheel often comprises of 38 (American variations) or 37 (European variations) non-numerically-sequential pockets, which are colored green, red or black. The pockets that are numbered 1 to 36 alternate between red and black while the 00 and 0 pockets are green. To learn how to play Roulette click here. It’s a comparing card game that’s played between 2 hands: the banker and the player. When playing at any baccarat table, players have three betting options. They can bet on either the banker hand, a tie or the player hand, which has a higher score. When compared to other casino games, one unique facet of baccarat is that there’s no requirement for betting. If a player is not feeling lucky, they can choose to sit at the table and just watch the cards. They will place their bets when they feel it is the right time without being bothered by anyone. To learn how to play Baccarat click here. The Big Six wheel (Wheel of Fortune or The Big Six) is built around a large spinning wheel marked by symbols or a set of numbers. This wheel is divided into segments, which are separated by pins or spokes. Each segment in the wheel is associated with a certain number. There is a flexible piece of leather or rubber at the top of the wheel. It rubs against the spokes to impart friction and then slow the wheel down to a halt. The winner is determined by the symbol or number of the segment where the wheel stops on. To learn how to play Big Six Wheel click here. It’s the American variant of the game called Twenty-One, a popular banking game whose cousins include Vingt-et-Un and Pontoon. This comparing card game is often played between a dealer and several players, where each player competes against the dealer. Players decide how they will play their hand, aiming for a hand value of closer to twenty-one than the dealer without busting. There are many variations of this card game; however, most of them follow the same basic concept. Each player is dealt 2 face-up cards and the dealer is dealt 1 face-up card and another 1 card face down. To learn how to play Blackjack click here. It’s a game with rules that closely resemble the earliest form of stud poker called Five-Card Stud Poker. But unlike standard poker games, this card game is always played against the house instead of players. There’s no bluffing or any other means of deception. 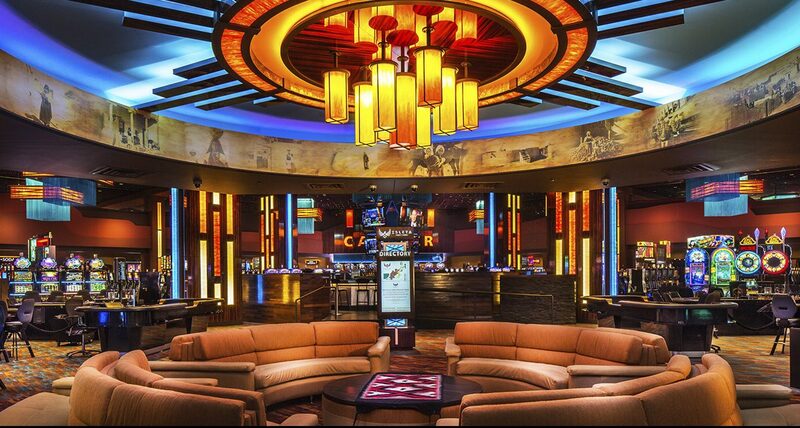 Caribbean Stud Poker table has specific areas where players can place certain bets. There is an area for bets and antes in front of each player. Also, there is a slot or area for progressive payout jackpot bets if a player feels like they want to make one. To learn how to play Caribbean Stud Poker click here. It’s a proprietary casino table game that’s based on the card game called War. Casino War is one of the easiest casino card games, and it’s one of the few games where players have the potential of beating the dealer over 50 percent of the time. Casino War is often played with 6 standard 52 card decks. Also, the cards are ranked just like in poker games: aces are the highest cards. The suit of your card in this game is unimportant because the consequential aspect is only the value number of the card you have per turn. You will win the wager you have bet if your card is higher than that of the dealer. To learn how to play Casino Wars click here. It’s a dice game where those playing place bets on the outcome of the sequence of rolls, or one roll, of a pair of dice. Those playing at the craps table are all given a chance to be the shooter, a person rolling the dice. Players can place wager money against a bank or against each other. When making come bets, field bets, odds bets, pass bets, and pass/don’t pass bets, players can place their chips on the suitable betting area themselves. 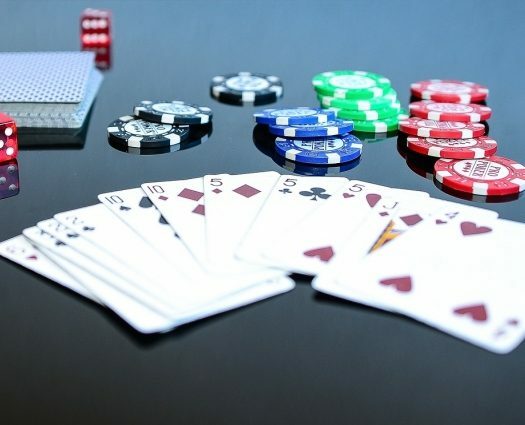 However, for most other bets, players have to place the amount they would like to wager on the table, then request the dealer to move their chips to the suitable betting area. To learn how to play Craps click here. It’s a casino table game that is played against the dealer. Crazy 4 Poker resembles Three Card Poker, but it’s based on four cards. The dealer and the player each receive 5 cards to make their best 4-card poker hand. In this game, a 4-card straight flush is called a straight flush, a 4-card flush is referred to as a flush, and a 4-card flush is called a flush. To play Crazy 4 Poker, you must place an Ante bet plus Super Bonus Wager of your choice, all equal values. If you have a random assortment of cards that are in no valuable order, the best thing to do is to fold. To learn how to play Crazy 4 Poker click here. It’s a casino table game in which players don’t have to know poker hand rankings to play. Flushes Gone Wild is easy to learn; all that you need to know is what a flush is. In poker, a flush is a five-card hand that features the same suit. Flushes Gone Wild is played with one standard 52 card deck plus a house dealer. When playing this game, the only rank is the number of cards that have the same suit in a hand. To win the game, the player has to get more flush cards than the house dealer. 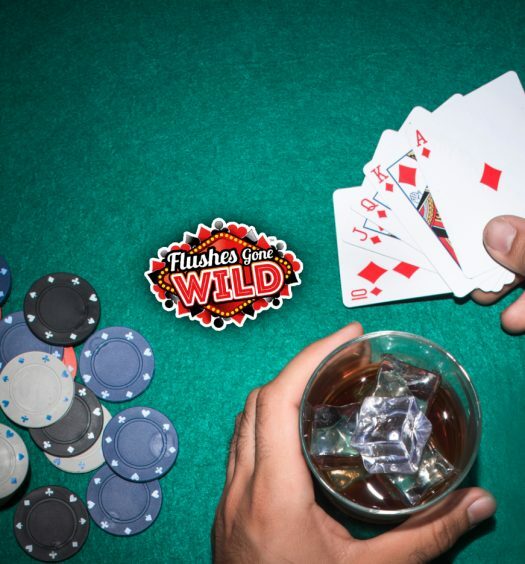 To learn how to play Flushes Gone Wild click here. It’s a casino card game that resembles Tri Card Poker. However, in Four Card Poker you can place an “Aces Up” bet or an ante bet or both. There’s no requirement forcing players to make a wager on Aces Up or the ante. Five cards are dealt to players; the dealer is dealt a total of 5 cards face down plus one card face up. The dealer and the player make their best 4-card hands. To learn how to play Four Card Poker click here. It’s a suit-based game played against a dealer. The objective of High Card Flush is to get multiple Flush (cards in the same suit) from the seven cards you’re dealt. In this game, the rules of betting are unique and different from most table games. Generally, the better the hand a player has, the more they can wager. For instance, if a player is dealt a 6-card flush or a 7-card flush, they can wager 3 times their initial bet. Also, there are 2 optional side bets offering large bonuses paying as high as 8,000:1 (for a seven-card straight flush). To learn how to play High Card Flush click here. It’s a casino table game that’s based on poker, where you wager on a 5-card poker hand that’s formed by your three cards plus two community cards, initially dealt face down. Let it Ride doesn’t involve beating the hand of a dealer. The payouts are solely based on the quality of the hand you receive. The most distinguishing feature of this game is that you are given two chances to withdraw one-third of your initial wager. The first chance occurs after you have looked at your hand, but before the initial community card is revealed. The second one occurs after the initial community card has been revealed, but before the second community card is revealed. To learn how to play Let it Ride click here. It’s a “house-banked” game, which means that you are playing against a dealer and not against other players like other poker games. Mississippi stud hand aren’t compared to the dealer’s hand, but against a payout table paying out on the player’s hand result. In this regard, it’s similar to video poker. Mississippi stud deals each player a mix of face-up and face down cards throughout many betting rounds. It’s a non-positional game, which means that the player who will place their bets first on each round changes from round to round. To learn how to play Mississippi Stud click here. It’s a variation of casino stud poker (Caribbean stud poker) played against the dealer, instead of other players. This means that the goal of Oasis Poker is to beat the hand of the dealer. The dealer and the player receive 5 cards in the first deal. The cards of the player are all face-up. The rules are typically the same as casino stud poker, except that the player can pay a price and change one or a few cards before the raise and fold decision (exchange of all 5 cards is also optional). The winner of the game is the person having the highest hand. To learn how to play Oasis Poker click here. It’s a version of a Chinese gambling game called pai gow that’s normally played with playing cards, rather than the common Pai Gow’s Chinese dominoes. Also, the game utilizes a standard 52-card deck and one single joker is left in the deck. However, the joker isn’t a standard wild card, and a player can only use it to complete a flush, straight, straight flush, or royal flush. If the card can’t be used in any of these hands, it’s counted as an ace. Pai Gow Poker is always played on a table that’s set for 6 players and the dealer. To learn how to play Pai Gow Poker click here. It’s a name shared by 2 distinct card games. Both card games revolve around trying to have your card value sum close to or equal to twenty-one, although not above twenty-one, by settling with the cards you have or strategically asking to be given more cards. To learn how to play Pontoon click here. It’s an unequal game of chance that originated in ancient China played with three dice. Chuck-a-luck and Grand hazard are variants of Sic Bo, both of which are known to be of English origin. The game starts with the dealer picking up three dice in a small chest. Then, the dealer shakes the three dice using the chest, until when it’s ready to show the combination of the dice. You are a winner when a dealer rolls any combination you wagered on. To learn how to play Sic Bo click here. It’s a variation of blackjack and offers some new, interesting changes that have shifted the dynamic of the card game. One of this is the removal of the number ‘ten’ cards from the deck, leaving the dealer with a 48-card deck, instead of 52. As a result, this increases the probability of the dealer beating players because high-value cards are important to players, and also there are less of these cards to be used. However, the probability of the dealer winning is leveraged by advantageous bonus payout scenarios and additional in-game rule changes, which evens the score for those playing this game. To learn how to play Spanish 21 click here. It is one of the easiest casino table games. In Three Card Poker, there’s only one decision for you to make, and all the rules influencing this decision don’t change from a hand to the next, making it easy to learn. The game is played as heads-up usually between the dealer and the player’s hand. Once all ante wagers have been placed, 3 cards are dealt to the players plus the dealer. You can either continue in the game or fold. If you choose to continue, you have to place a “play” wager that’s equal to your ante. Hands are then revealed and wagers resolved. To learn how to play Three Card Poker click here. It’s the reinvented variant of Texas hold ’em. In Ultimate Texas Holdem, the player plays against the dealer instead of competing against other players. During the course of any hand, the player can make one raise at any point. However, the earlier you make the raise, the higher the value of the raise will be. This table game is played with one 52-card standard deck and starts with the player placing an ante and a blind bet (both of them must be equal). Also, there is an optional Trips side bet; this bet pay regardless of whether the player loses or wins. To learn how to play Ultimate Texas Hold’em click here. It’s similar to the lottery since it’s also a game of chance. When playing Keno, you have to choose numbers that range from 1 through 80. You can choose anywhere from one to ten of the numbers that are listed on the card. Some casino allows players to choose up to 15 or even 20 numbers. After players have made their wagers, the numbers will be randomly drawn using a random number generator or with a ball machine like the ones used for bingo or lotteries. When you choose a number, you are betting the number is going to be selected. To learn how to play Keno click here.